(VEN) - The trade union of the Van Dien Fused Magnesium Phosphate Fertilizer Joint Stock Company (VADFCO) has played well the role of a bridge between workers and the company’s leadership to protect worker interests. It has also provided consultancy for the company’s leadership to launch role model campaigns and charitable activities. In recent years, domestic fertilizer companies encountered numerous difficulties due to fierce market competition. The trade union of VADFCO has been side by side with the company’s leadership and its technical divisions in efforts to overcome difficulties and maintain stable operations. Through role model campaigns, the trade union has commended and rewarded 27 creative ideas, many of which have been applied successfully in production. 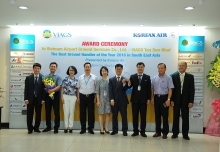 Seventeen initiatives proposed in 2015 and 2016 have helped VADFCO save more than VND10 billion. Eight initiatives proposed in 2017 have also enabled the company to save more than VND1.78 billion. 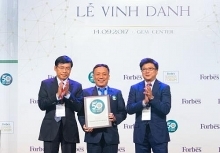 Examples include the initiative to manufacture and install a coal sieving line that has enabled the company to save VND530 million and reduce the number of manual workers by 23. 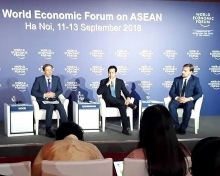 The initiative to change the blast furnace technology enables the recovery of waste heat for use in phosphate grinding, which is expected to help VADFCO save billions of dong each year. These initiatives have contributed significantly to the company’s positive results. In 2017, VADFCO produced more than 306,000 tonnes of fertilizers and sold over 296,000 tonnes, of which more than 2,100 tonnes were exported, equivalent to 103 percent of the annual plan. 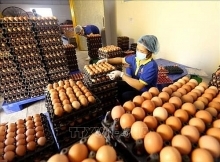 The company is expediting the construction of a new fertilizer plant in the Bim Son Industrial Zone, Thanh Hoa Province. VADFCO’s workers have been commended and rewarded for their initiatives. In 2017, eight individuals were recognized as creative workers. Two of them were recognized as good workers of Thanh Tri District; one as good worker of Hanoi Capital. Three of them received Creative Worker Certificates from the Vietnam General Confederation of Labor. Two of them were recognized by the trade union of the Ministry of Industry and Trade as good and creative workers. Many other individuals and teams have also been commended and rewarded. The trade union and the leadership of VADFCO have organized dialogues with workers every three months and monthly production conferences to deal on a timely basis with employee petitions. In 2017, the company’s leadership adopted a collective labor agreement that offers its employees greater benefits. Specifically, workers are provided with two free meals for each shift. Workers doing dangerous jobs are offered additional preferences. The company sends its staff members and workers to training courses to improve their qualifications and skills. It also provides employees with periodical medical examinations and organizes annual summer vacations for them. 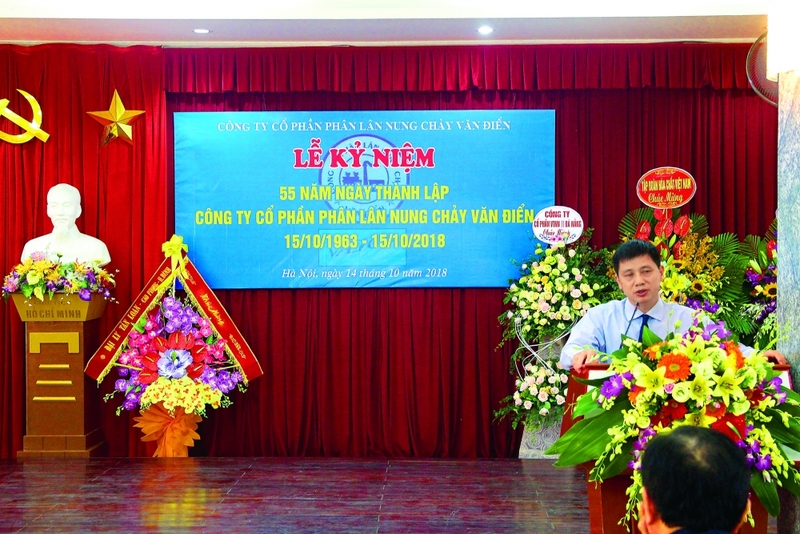 VADFCO’s trade union has provided more than VND300 million to support the families of revolutionary contributors, needy people and those suffering from occupational diseases or workplace injuries. The trade union has taken special care of these people, especially on the occasion of the Lunar New Year. The company’s trade union has organized cultural and artistic activities on a regular basis to improve the spiritual lives of employees. An art performance team has been established to serve major events and ceremonies held by VADFCO. The team has also participated in mass art performance festivals held by the trade union of the Vietnam National Chemical Group and cultural exchange activities organized by localities and other units. Besides, the trade union of VADFCO has participated actively in many sports contests and gained prizes. It also organizes annual volleyball tournaments to celebrate Hanoi’s Liberation Day and the company’s establishment. and workers to contribute to charity and social security funds. Last year, their donations totaled VND210 million.